Staircases used to be neglected and ignored in the past. But those times are definitely a thing of the past. With the changing times, people have realized the importance of the staircase and have given it its rightful place while planning and designing a home. The interiors might be very classy, but with a dull staircase the look of the house gets spoiled in totality. This becomes an embarrassment to the owners. Nowadays, realizing this, designers and architects are taking a lot of pain in designing staircases which, besides being useful, are able to add to the beauty of the house. A staircase can take the central point in the designing of your house and add to the elegance and style. There being a number of choices available, it does get easy in choosing one which besides being useful can also add to the beauty and showcase the décor of the house. By focusing on the space available, you should be able to decide what type of staircase to opt for. Make sure however that it does not give a cramped feeling and look to the house. Keeping the space in mind, you have a choice of the double-sided staircase, a straight L-shaped one. The double-sided staircase is apt for large entryways and the L-shaped one is suitable for smaller spaces. After making sure of the functionality, you can look at the other choices, like the appearance and the material. You would have a choice between the curved stairs and the elliptical one, giving it an elegant look, or you can also go for the spiral set, which seems to be quirky but may not be practical. Make sure that the staircase is able to blend with the rest of your house and that it does not stand out as an oddity. Try not mixing tones which are dramatically opposite or in contrast. This will give your house an odd look. 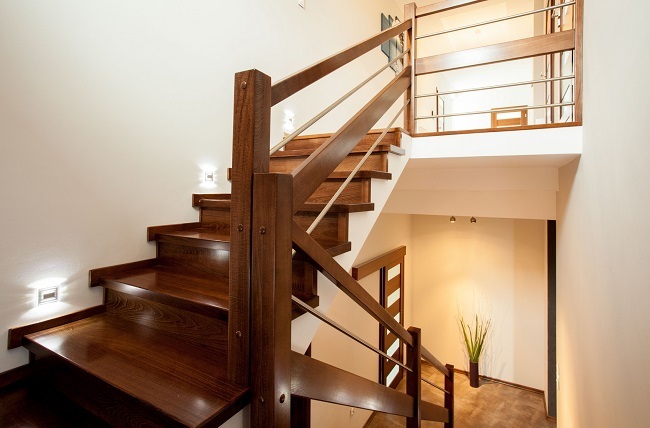 If you have opted for a modern look for your house, choose a staircase on the same lines. With multiple options available it should not get too difficult in making the right choice. If you opt for the traditional look, go for stone and carpet which fits the look, and in case you opt for the modern appearance, look out for floating wood or metal. Changing times have seen a lot of variety in the designing of staircases. There are staircases which can use space to the maximum and give a look of total elegance and style. Staircases which seem to be hanging out but are sturdy and easy to climb, give your house a different look altogether. The space under a normal staircase can be used to create storage space or be made into a book shelf depending on your need and requirement. Such a staircase has its roots deeply embedded and the branches are where you climb. Again, this has a very different and earthy look, which can add greatly to the beauty of your house. 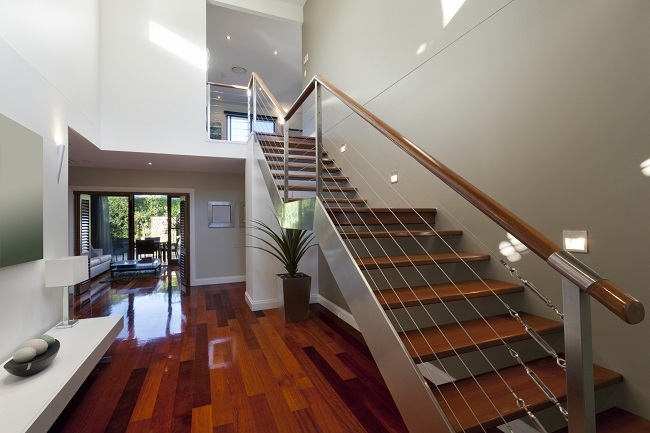 A bright staircase as compared to the rest of your home décor can make for an outstanding look. A perfect contrast of colors being used on this staircase adds to the attractiveness. Each step you climb would have a number of books piled on shelves, and this would reflect on your love for books besides adding to the unique look. This staircase is designed like a flower and you need to climb on the petals. These may seem a little difficult, but are not so. They provide a completely different look as compared to the normal staircases found in homes. A combination of a slide with the staircase keeps your children occupied and entertained and also add to the uniqueness of the house. With multiple designs and multiple materials available for Staircases Designs, you can select the best option. Want you get more details, please click over here.